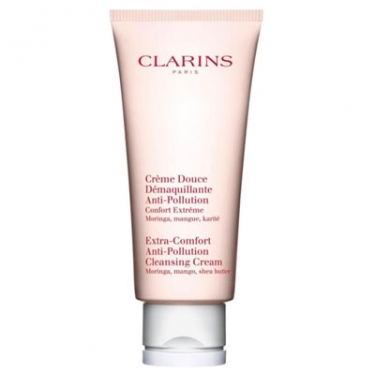 Crème Douce Démaquillante Anti-Pollution is a Clarins purifying cleanser and makeup remover for skin challenged by a polluted urban environment. 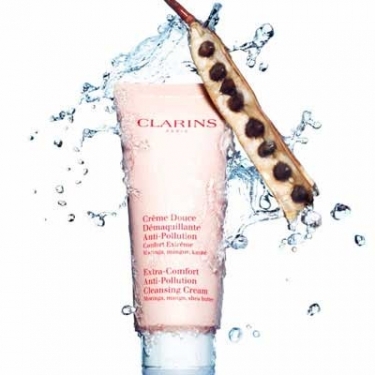 This gentle formula removes make-up and impurities with mild surfactants. Cleanses the face and eliminates toxins and pollution with moringa seed extract that helps protect the skin from urban aggressors. Hydrates and softens the skin with the soothing properties of mango butter, shea butter and jojoba oil. The skin rediscovers its radiance and beauty. Warm the product and apply to face.